Gen Z cohort is slowly entering the marketing landscape and has started to replace the Millennials. The purchasing power of Gen Z audiences has been estimated between $29 billion to $143 billion. Marketing to a Gen Z audience is not the same as marketing to Millennials. They have different social media habits and they do not trust a brand as easily. Let’s learn more about Gen Z, their habits and how to market to them effectively. Who Are the Gen Z Audience? 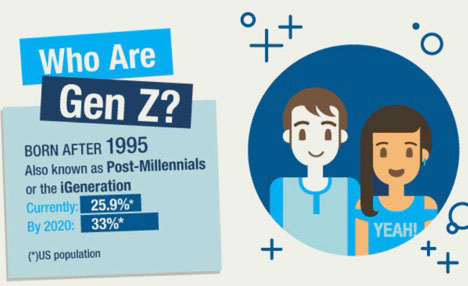 Those who born in 1996 and after are referred to as the Gen Z audience. Approx 32% of the population in the United States will comprise the Gen Z audience within a year. They are set to outnumber millennials. Gen Z are the people who were born in the era of internet. They have been using the internet right from their childhood so they are aware of every popular platform and how things work there. There are a number of differences between Gen Z and Millennials. Gen Z does not respond to marketing campaigns sent using text based mediums. They know what is real and work hard to achieve that. Gen Z is pragmatic and their focus is on saving money. They are always looking for brands that feel authentic. They are inspired by social values and their behavior is much more stable as compared to the Millennials. 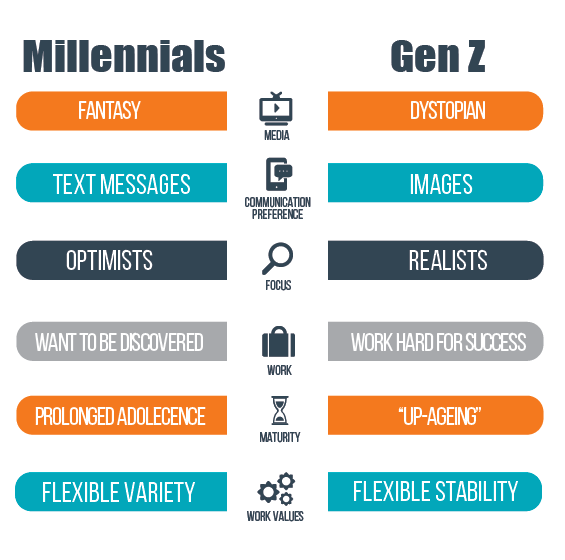 The table below summarizes the differences between Millennials and Gen Z. What are the Social Media Habits of Gen Z Audiences? A marketer must learn how to market to the Gen Z audience. Why am I saying that? Because the Gen Z audience is highly responsible in nature. Gen Z is already aware of the social media mishaps that can happen so they market themselves intelligently in front of their prospective employers. They do not indulge in bad behavior or share stuff that might hamper their reputation. They remain true to themselves and share thoughts that benefit the community as a whole. They strictly stay away from any form of direct advertising. The top social networks that Gen Z uses are YouTube, Instagram and Snapchat. They like to post and view ephemeral content (the content that lasts only a short time before disappearing) because they find them real and up to date. Needless to say, the quality of content needs to be good. They post photos on Instagram that reflect their true personality and they follow people whom they admire the most. Gen Z are extremely health-conscious. They understand which influencers promote products having negative health effects and they stay away from them. 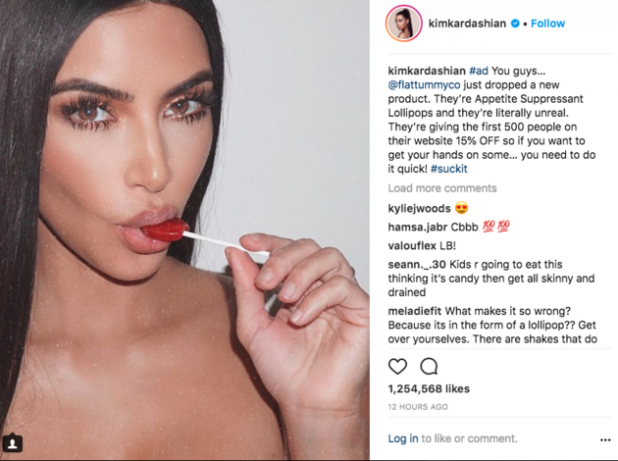 Kim Kardashian was seen promoting appetite-suppressant lollipops which quickly received negative reviews from the audience. They prefer to spend their money on experience instead of purchasing something material. They are price conscious shoppers and they don’t blindly believe what a brand promotes unless they identify it themselves. How to Market to Gen Z? The first step is to get the attention of the Gen Z audience. Banner ads won’t do it but Influencer marketing will! The best way to capture the attention of Gen Z is to get help from micro influencers because they want to see real people doing real things. Another essential thing to keep in mind while marketing to Gen Z is that you need to remain authentic. The younger generation wants products that are of high quality and they trust brands that have integrity. There is no shortcut to success; you need to focus on your brand values and be true to your morals if you want to get the love of Gen Z. Keep in mind that the preferred platform of the Gen Z audience is Snapchat and Instagram. They are not active on Facebook like Millennials. Hence, if you are spending dollars on Facebook ads to reach them, then you’re wasting your money. Gen Z likes to read ephemeral content, like Snapchat stories, that is short lived. They browse such stories once or more a day. Hence, the best way to convert them is to reach them where they love spending their time. Besides, you must communicate to them in their own language. They like their individuality and follow their own style. You need to provide an experience that is personalized to them in every manner. Storytelling is a great way to reach Gen Z. Share your brand message in a language and using a medium they prefer the most. Gen Z follows businesses that they admire. One of the easiest ways to attract their attention is to stand for a great cause. There are so many social issues that affect a community. Take a stand on any of the social causes and help. Almost all the top brands are seen engaging in doing social good for others. This is a strong way to showcase your brand message to people. Adidas, the world leader in sports goods, does this brilliantly. 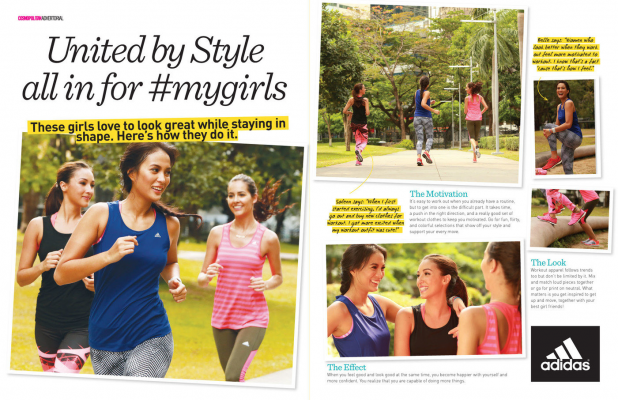 With the #mygirls campaign, it ignited women’s interest in sports and encouraged them to follow a passion for exercise. Gen Z are video crazy people. They hate text and are more likely to watch videos. Longer videos are not able to receive traction when compared to shorter videos; meaning, Gen Z audiences love watching shorter videos that are between 10 – 30 seconds in duration. The easiest way to engage a Gen Z audience is to create humorous videos that are under 10 seconds long because they are 3 times more likely to enjoy a funny ad than a serious one. 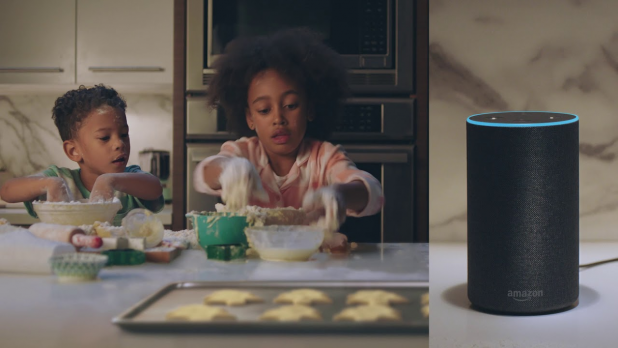 Amazon made more than a 100, ten second ads that aimed to convey the capabilities of Alexa to people. The e-commerce giant is way ahead in terms of reaching the Gen Z audience with ads. Gen Z audiences are still trying to adapt so brands can be 100% right regarding whatever they do. You need to test, understand and repeat. The above strategies are carefully synced with the minds of the Gen Z audience and can prove really helpful to engage them. Happy Gen Z marketing! 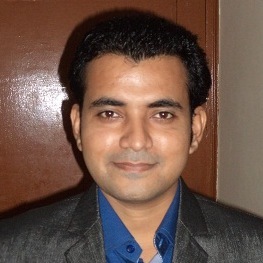 Joydeep Bhattacharya is an internet marketer and owner of the SEO blog, SEO Sandwitch. He has been associated with SEO, SMO, PPC, ORM and other activities related to online marketing for the past 5 years. The post The Complete Guide to Gen Z Social Media Marketing appeared first on SiteProNews.